Apple might dominate when it comes to smartwatch sales, but Fitbit’s looking to make a dent in its lead by launching four new devices today: the Fitbit Versa Lite Edition, the Inspire and Inspire HR, and the Ace 2. As its name suggests, the Versa Lite is a streamlined version of its popular Versa smartwatch. Meanwhile, the Inspire and Inspire HR will replace Fitbit’s lower end trackers, and the Ace 2 is an updated version of its child-friendly tracker. But the real kicker is that none of them cost over £150—less than half the cost of a GPS-only Apple Watch Series 4. Leading the pack is the Fitbit Versa Lite Edition. It’s basically the same thing as the popular Fitbit Versa if you subtract a few features, knock £50 off the price to £150, and add in a few new colour options. Functionally, you still get most of what makes the original Versa good—4+ days of estimated battery life, activity and sleep stage tracking, female health tracking, continuous heart rate monitoring, smart notifications, apps and clock faces, connected GPS (meaning you have to use your phone), and VO2 Max measurements to gauge your cardio fitness. Missing are more advanced features like floors climbed, swim tracking, on-screen workouts, music storage, and NFC payments. Design-wise, it’s almost identical to the Versa as well. The only major change is it opts for a single button interface, as opposed to the three buttons on the original Versa. It also comes in some new eye-popping colours, including marina blue and mulberry (fancy speak for REALLY BRIGHT BLUE and EXTREMELY PURPLE), as well as more subdued white and lilac options. Moving on, if the Inspire and Inspire HR look familiar, they should. The slim shape and narrow LED screen look an awful lot like the Alta and Alta HR. The main difference is the Alta’s stainless steel body has been replaced by plastic and overall, it doesn’t look quite as elegant. Some of that is due to the gigantic bezels on the Inspire—they’re literally the width of my little finger on the top and bottom of the screen. A Fitbit spokesperson at the company’s NYC briefing event told me the large bezels were so it could cram in more components while keeping costs down. And while I question the design choice, from a budget standpoint. it worked: The Inspire will cost a mere £70, while the Inspire HR is a smidge pricier at £90. Comparatively, the Alta is£100, while the Alta HR is £140. Those prices are competitive when you consider the feature set. Both Inspire devices have an estimated five days of battery life, sleep tracking, and automatic exercise recognition. They’re also swim-proof and feature a touchscreen, though as the “HR” nomenclature suggests, the £100 device has a bit extra with heart rate monitoring, real-time metrics via connected GPS, and more advanced sleep tracking. Rounding out the new products is the kid-centric Fitbit Ace 2, which tweaks and marginally improves upon the Ace. Most noticeably, it adds a goofy bumper around the screen for added protection because those gosh darn children are likely to get up to hijinks that might scuff, or otherwise damage their trackers. The Ace 2 also expands its age range, so now kids as young as six years old can use it. Again, Fitbit’s lowered the cost from $100 to $70. 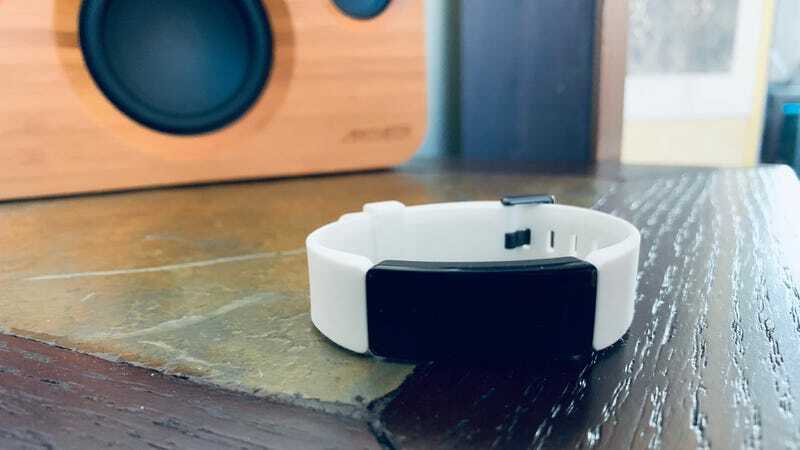 But interestingly, Fitbit said part of the Ace 2's charm is that once your kids get “too old” for the admittedly youthful design, they can pop the tracker out and opt for Inspire bands and accessories. I suppose this is an attempt to market the Ace 2 as a long-term investment, though it’s hard to imagine a teen wouldn’t want to upgrade to something else by then. Clearly, the common theme here is ‘more for less.’ You can tell because when looking at these devices, there’s really nothing new in terms of features—we’ve seen this all before. What’s ‘new’ here is Fitbit’s clear strategy shift to target the lower end of the price scale. And that’s actually a savvy move, especially with regard to smartwatches. According to a recent IDC report, smartwatches grew 54 per cent in 2018 and accounted for 29 per cent of all wearable shipments. But even as more people buy into wearables, there’s way more competition at the high-end of the market and Fitbit was much later to the game than its main competitors, Apple and Samsung. Fitbit OS is still playing catchup to Watch OS, Tizen (Samsung’s operating system), and Wear OS in terms of design and third-party app offerings—and, unlike the rest, it doesn’t have an extensive hardware ecosystem. 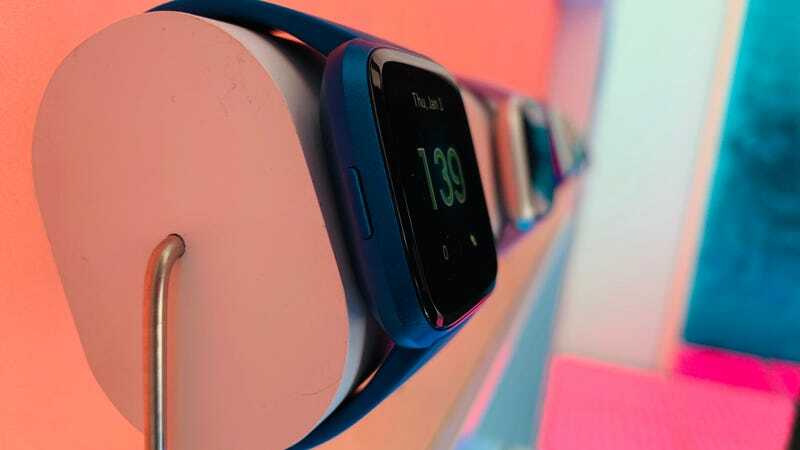 That can be good because all Fitbits are platform agnostic, but it also means no theoretical luxury Fitbit is going to be as good as say, a Series 4 or Samsung Galaxy Watch, at seamlessly integrating with your smartphone. That’s basically the problem with Fitbit’s high-end smartwatch, the Ionic. While it beats out the competition on fitness features and battery life—I’ve gotten about a week on a single charge—its design is clunky, there’s no standalone LTE, and the OS just isn’t there yet. Even though it’s slightly discounted from its original £280 retail price, and you could just spend a little more to get the sleeker Galaxy Watch or Series 4. On the lower end, however, its main competitors are Xiaomi and Huawei, which have nowhere near the same level of brand recognition. “[First-time buyers] may not have hundreds of disposable dollars to buy a smartwatch,” added Melanie Chase, vice president of product marketing. The push to grab more first-time buyers is also bolstered by Fitbit’s focus on prioritising its community. At the event, Fitbit also announced it plans to give its app a major redesign that highlights data insights, makes it easier to view Challenges, and encourages more engagement with its social media-esque community feed. This is on par with Fitbit’s app strategy. The Fitbit app has always been one of the better fitness apps around, with a streamlined dashboard and regular updates to reflect the changing needs of its users. Adding more data context, as it plans to do with the redesign, is a good move for keeping users motivated. As is its move to expand globally to 80 new markets in the Community Feed, along with nine new languages. It also announced its launching a Rewards beta program which will let users trade in earned points from activities for discounts and rewards from programme partners like Adidas, Blue Apron, and Deezer. Whether this all pans out depends on how receptive consumers are to the new price points, and whether the design and feature tradeoffs are worth it. If the original Versa’s stellar sales are any indication, there’s a definitely a solid chance it might. Both the Versa Lite Edition and Inspire/Inspire HR will be available for preorder today, while the Ace 2 is slated for summer 2019.